12 Part baked mini white rolls. 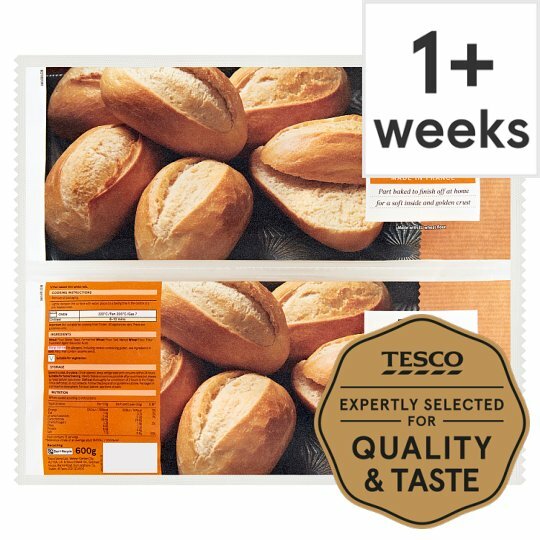 12 Part baked mini white rolls, made in France. Simply pop in the oven for a warm and crisp petit pain. Store in a cool, dry place. Once opened, keep refrigerated and consume within 24 hours. Instructions: Oven 220°C/ Fan 200°C/Gas 7 8-10 mins Remove all packaging. Once opened, use immediately. Lightly dampen surface with water, place on a baking tray in the centre of a pre-heated oven. Suitable for home freezing. Ideally freeze as soon as possible after purchase but always by 'best before' date shown. Use within one month.